Wie kann man am besten diese warmen Sommertage verbringen und gleichzeitig noch möglichst stylisch aussehen? Mit einem Penny Board! 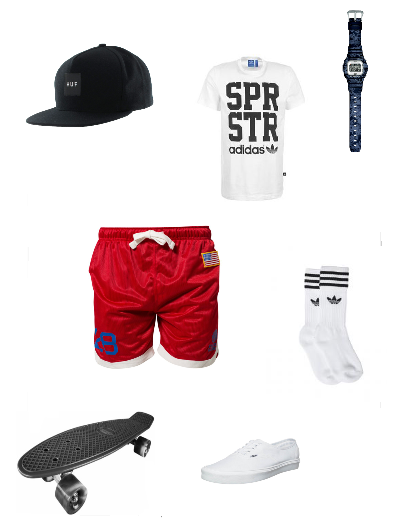 Es ist einfach richtig chillig und bringt einen schnell von A nach B. Das passende Outfit kann man durch sportliche Accessoires wie die G-SHOCK schnell erreichen. Lange Tennissocken und eine simple Cap runden den sportlichen Look perfekt ab. Are you looking for a cool outfit to survive the hot summer days? H ave you ever thought about a pennyboard? It is perfect for cruising in the city. A matching outfit you could easily get by combining sportical accessoires and cool crew socks to your summer waderobe.